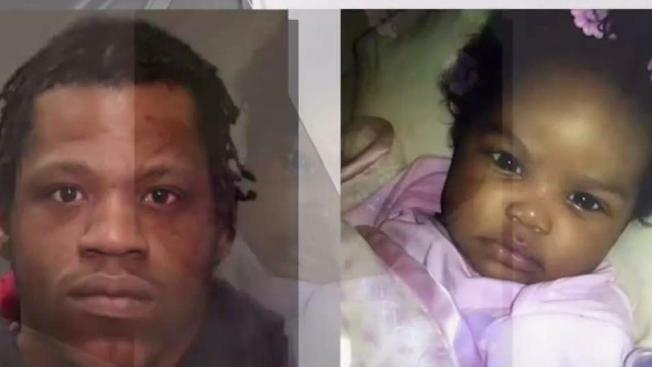 A father faces multiple charges after he forcibly took his 8-month-old daughter in Queens, police say. Jerome Pippins, 24, was charged with burglary, acting in a manner injurious to a child and custodial interference, the NYPD said. Pippins took the baby Friday night after an argument with her 22-year-old mother in Jamaica, police said. An Amber Alert was issued and the pair was found Saturday morning in Harlem at his parent's home. 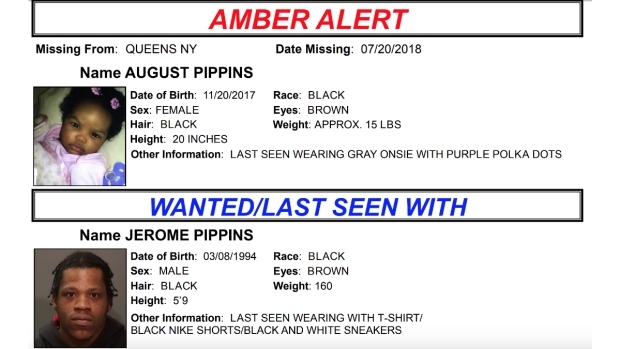 The NYPD activated an Amber Alert for 8-month-old August Pippins.